Power Lens Cleaner helps you keep your camera or other sensitive electronic devices free from dust and dirt. It has a graphite dispenser for safe removal of smearing on lenses. 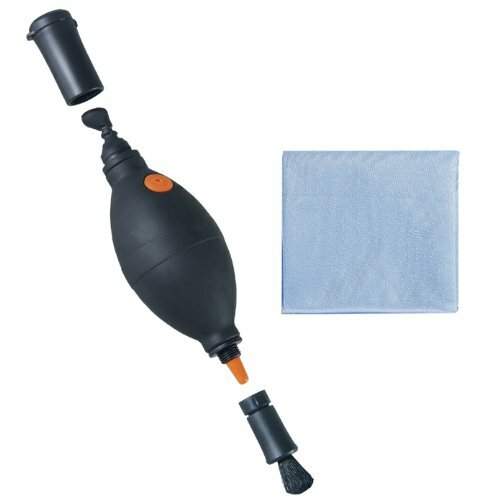 It doubles as an air blower and brush to remove dust and dirt from lenses and hard-to-reach crevices. Power Lens Cleaner also includes a soft tip and a Microfiber cleaning cloth for polishing. View More In Lens Cleaners. If you have any questions about this product by Vanguard, contact us by completing and submitting the form below. If you are looking for a specif part number, please include it with your message.